These maple peanut butter chocolate donuts are a new family favorite! Creamy peanut butter, rich maple syrup, and decadent double chocolate combine together for one totally amazing breakfast treat! 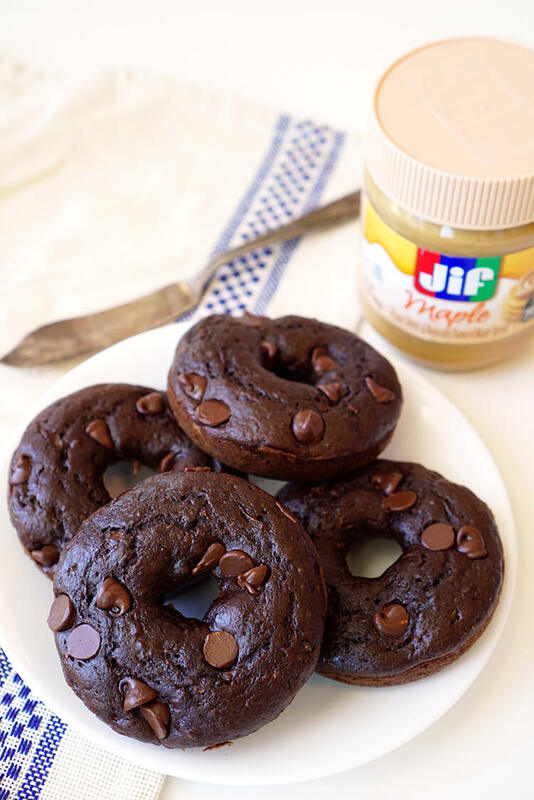 Remember those amazing Better-for-You Double Chocolate Donuts that we shared last week? Well, we’ve discovered a way to make them even BETTER! Yep, that name is definitely a mouthful, but it sure is a delicious one! We were recently introduced to Jif Spreads, and my kids went completely nuts over the flavor combination of peanut butter and maple syrup. 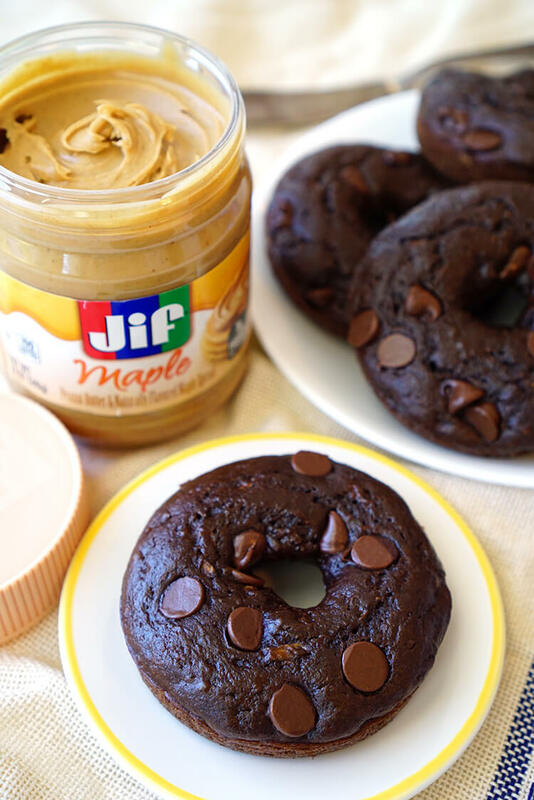 Adding a creamy layer of Maple Jif Spread to the top of their favorite double chocolate donuts was a match made in PB + chocolate heaven! 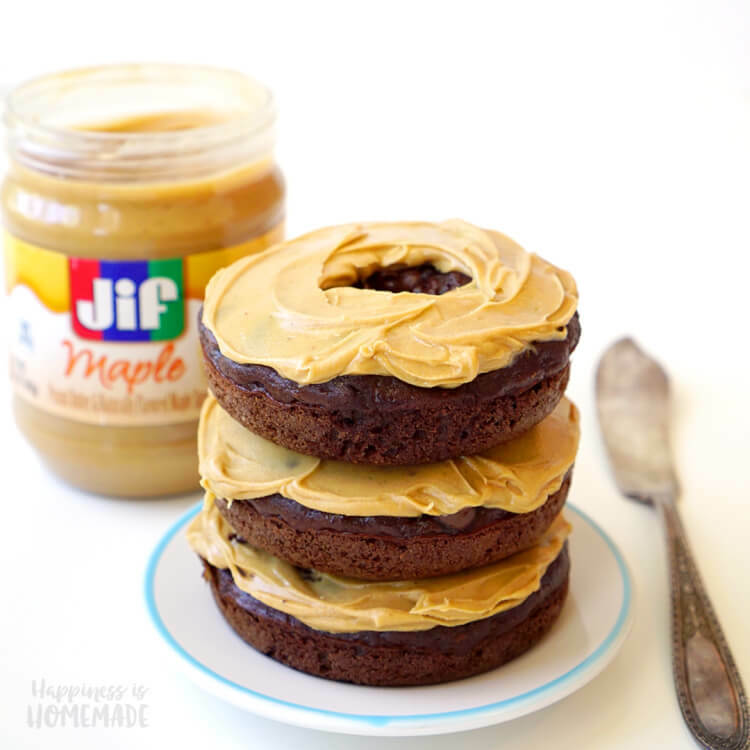 Seriously, something totally magical happens when you combine chocolate + peanut butter + maple = AMAZING! 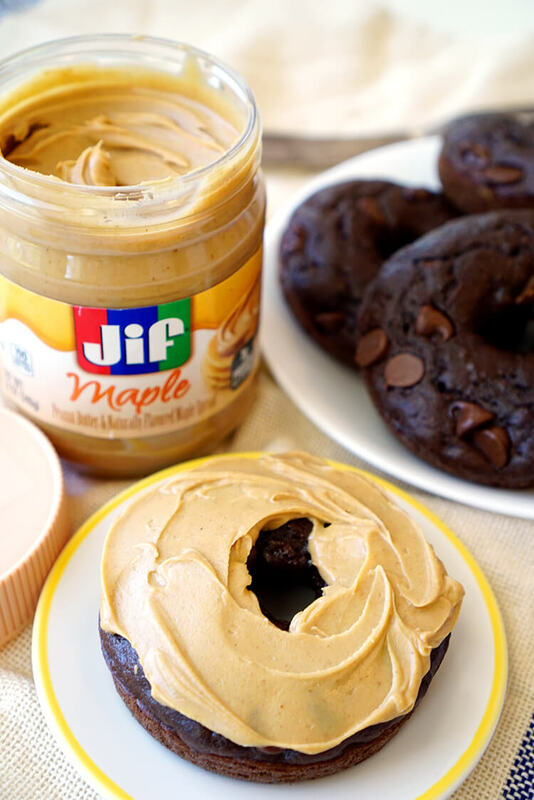 My three boys are huge fans of these maple peanut butter chocolate donuts, especially my five-year-old, who would probably eat the entire jar of Maple Jif Spread at all once if we let him! Honestly, I can’t say that I blame him. This stuff is GOOD! 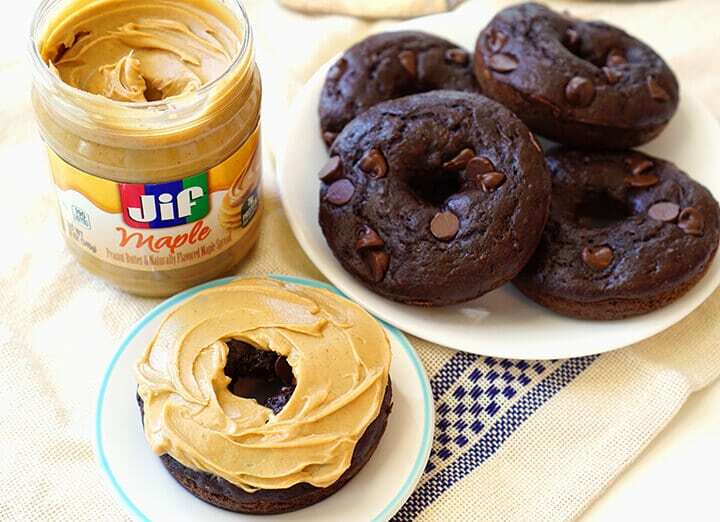 These donuts made everyone peanut butter happy (#peanutbutterhappy! ), and I’m sure they’ll be making regular appearances at our Saturday morning breakfast table. I think all Saturdays should include donuts, don’t you agree? Jif Spreads are definitely making our mornings even sweeter! The boys have been trying Maple and Cinnamon Jif Spreads on everything – toast, bagels, waffles, pancakes, you name it…but the maple donuts are still their favorite! 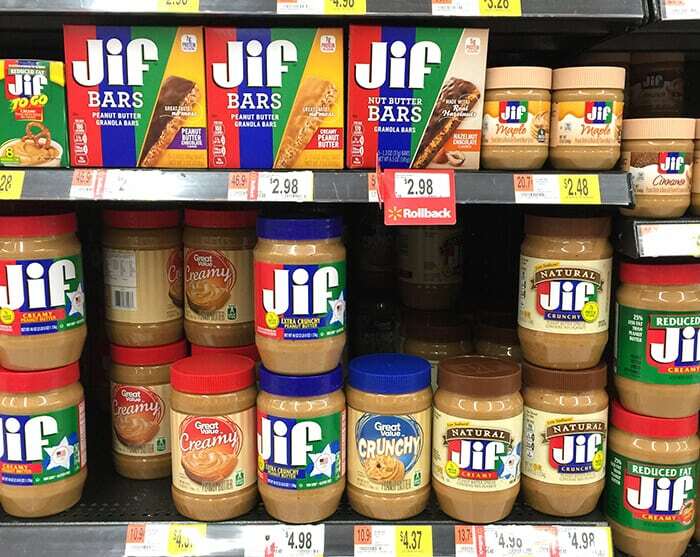 Psst…you can find the Jif Bars located right next to the Jif Peanut Butter and Jif Spreads at your local Walmart! 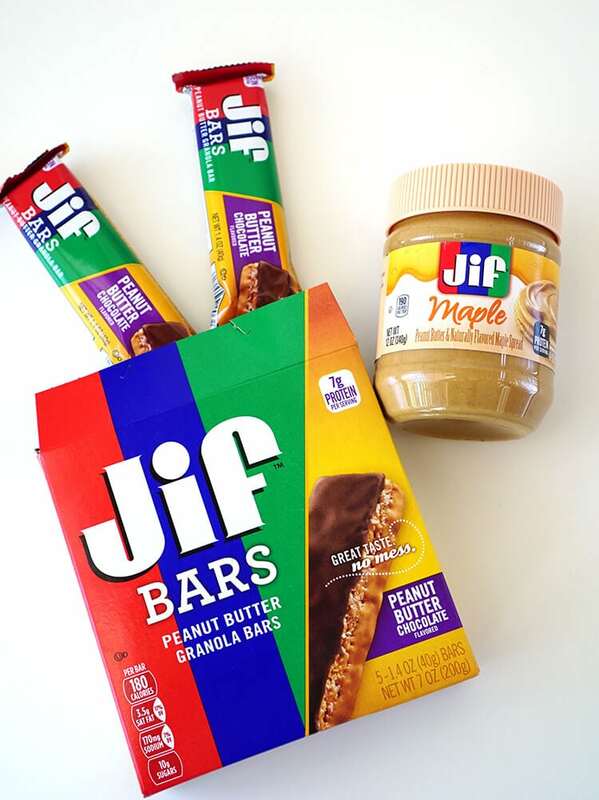 Don’t forget your coupons for Jif Spreads and Jif Bars before you head out! 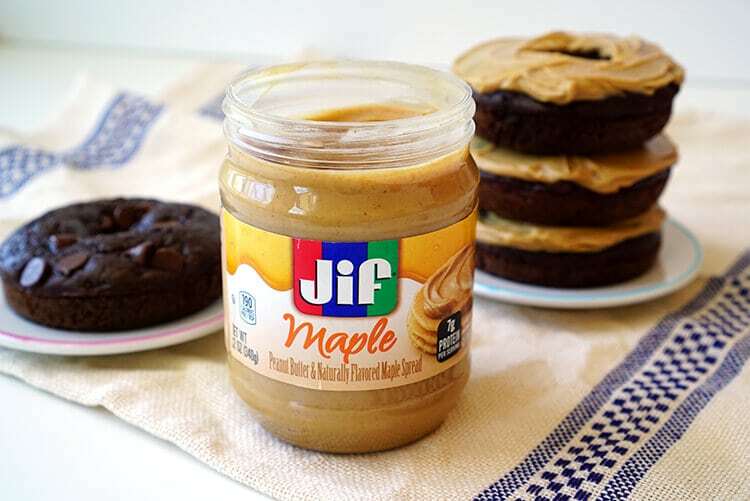 What do you like to eat with your Jif Spreads?